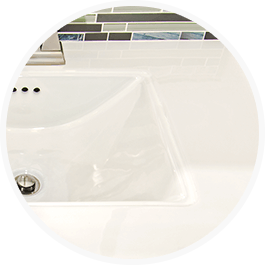 Corian® solid surface is a durable and great looking surface for countertops. Keep it looking its best with regular spot cleanings and occasional deep cleanings from Soft Scrub. Soft Scrub with Bleach Cleaner Gel is packed full of stain-fighting and whitening power! Use the precision application nozzle to target tough stains on countertops, showers, and toilets.